This article follows on from Neuroscience, Gurdjieff and Buddhism, and I assume that readers are familiar with its contents. The first thing we need to do, if we are going to discuss whether the self is an illusion, is to define what we mean by the self. This might be problematic since, even though everyone has an experience of consciousness, it is very hard to define exactly what is meant by it. Some people might want to make the definition of the self quite specific, especially those who deny its existence. I don’t here want to get bogged down in a lengthy academic discussion, so I would want to make the definition not too precise, saying merely some entity that makes us an individual, separate and different from recognisable others. There appear to be two different understandings, depending upon which spiritual tradition one follows. The first denies the existence of the self. As an example of this, in the previous article I outlined the perspective of Buddhism, which was claimed to be the same as that of Ouspensky, a follower of Gurdjieff, by his student Kenneth Walker. the Hindu tradition, in which the Chandogya Upanishad says “Tat Twam Asi”, you are the same as the universal essence. This implies that there is a you being addressed. Psychosynthesis, the system of Transpersonal Psychology of Roberto Assagioli. In it there is an exercise, in which the participant is instructed to keep on repeating and reflecting on the question “Who am I?” There is also a mantra: “I have a body but I am not my body, I have feelings but I am not my feelings, I have a mind but I am not my mind. I am a centre of pure consciousness, and of will”. the early Gnostic schools, which perceived the soul to be trapped in matter. The obvious thing to point out is that, in these traditions, what is being called the self (an independent continuous consciousness) is a soul incarnating into a body. 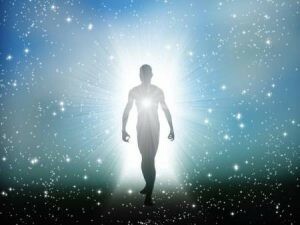 Evidence for its existence would therefore be reincarnation and out-of-body experiences (OOBs), which have been described as “an experience of floating outside one’s own body, while retaining one’s identity and a very clear consciousness” (1). I take both of these to be a reality, although there is obviously no point in getting into arguments with sceptics. I’ll just mention briefly that I know three people who state categorically that they have had an OOB experience. They are decent people, and I have no reason to believe they are lying.